Project Co-ordinator’s efforts were aimed at ensuring local judges are using human rights legal instruments, such as the European Convention on Human Rights and the case-law of the European Court, to ensure better protection of human rights in Ukraine. More than 7,700 legal professionals were trained in the course of the last 5 years, 400 judges got qualification of trainers and teach their colleagues. 18 online and on-site PCU-developed training courses became a part of mandatory education for judges and candidate-judges. Law students from 15 countries of the OSCE region benefited from summer schools and moot courts that helped young legal professionals pursue their career in human rights protection in future. 18 judges received in-depth training on gender mainstreaming in justice to become the first network of gender focal points in Ukrainian courts. Backstage of lecture recording for open online education platform that made human rights education available to more than 10,000 people. Annual Forum on the Case Law of the European Court of Human Rights provided platform for legal professionals to brainstorm and discuss ways of enhancing human rights protection in Ukraine. Advocates, civil society, civil servants and law professors were also an important audience to further spread knowledge on application of the case-law of the European Court of Human Rights. Civil society was trained to carry out trial monitoring and monitoring of judgements in line with international standards. The Co-ordinator supported civil society in implementing two first of their kind programmes - trial monitoring and monitoring of judgements - both helped identify gaps and needs for further work. For the past five years Ukraine has been among the top three sources of applications to the European Court of Human Rights. Clearly, many citizens, when seeking justice on human rights issues, are dissatisfied with the decisions of local courts and seek a direct application of the European Convention on Human Rights in Strasbourg. Already in 2013, a Council of Europe needs assessment stressed the need for sustained judicial training on the application of the European Convention on Human Rights in Ukraine. 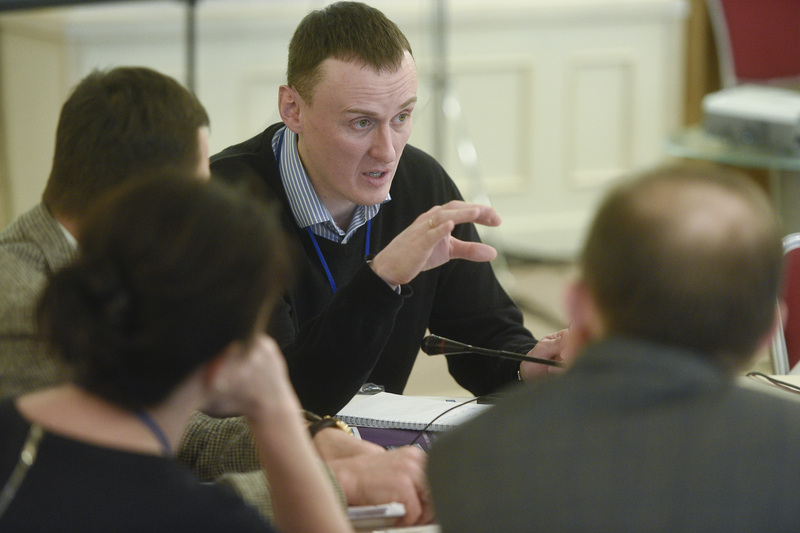 In response, the OSCE Project Co-ordinator in Ukraine has been training judges on the European Convention on Human Rights since 2014, when it launched its ambitious five-year initiative to promote the knowledge and practical application of international instruments among legal professionals. Viktoria Buchkivska, Judge in the Stryy Municipal Court of the Lviv Oblast. Viktoria Buchkivska, a judge in the Stryy Municipal Court of the Lviv Oblast, is one of more than 7,700 legal professionals trained by the Co-ordinator. She recounts how the intensive training has helped her to develop well-crafted judgements in complicated cases. She gives the example of a recent case concerning a sanatorium in Morshyn, in western Ukraine, that had been privatized two decades ago. A company that had invested heavily to develop the sanatorium was entangled in a lengthy and exhausting legal battle when the privatization process was questioned by the state. In addition to training judges in person, the OSCE Project Co-ordinator in Ukraine has developed an educational programme for legal professionals on the application of international human rights protection standards: a series of classroom courses, an online course (part 1 and part 2) and an interactive online magazine. These online education tools provide an overview of trending human rights issues for legal practice and recent ECtHR case-law, translation of landmark ECtHR cases and video lectures on case-law notions and principles. Buchkivska, along with nearly 400 other judges who completed the OSCE training, joined the pool of experts who developed these courses. Involving practicing judges in designing and piloting the training of their own colleagues helped to ensure that the final products were as practical as possible. “Continuous professional development is important for judges who take decisions that can have a profound effect on people’s lives. This training is not only about teaching judges how to apply the case law of the European Court of Human Rights. It is also about encouraging their lifelong learning,” said Sergiy Ukhanenko, a judge of Dnipropetrovsk Administrative Court of Appeal during the interview in June 2017. “The hardest thing was to find time to prepare training materials. 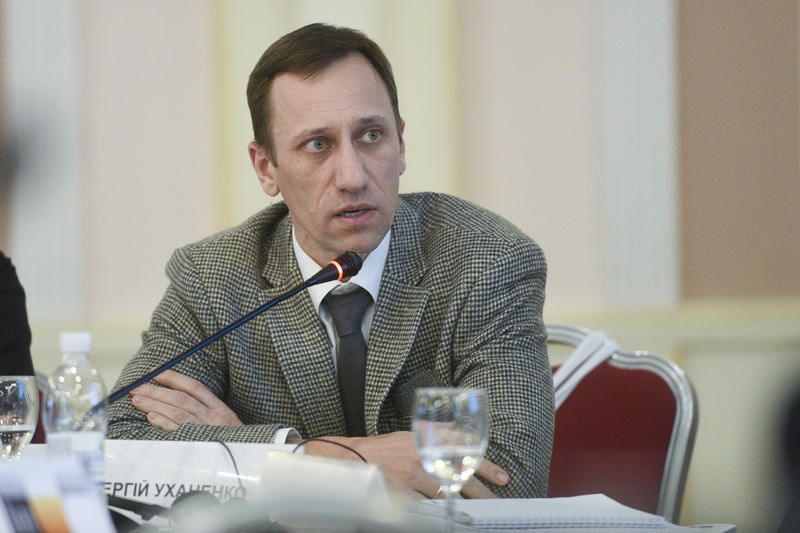 It takes a lot of time to process all the necessary materials for training seminars: methodological textbooks, ECtHR judgments, articles on the case-law, national legislation and practice," said Yaroslav Levyk, a judge-trainer of Lviv Oblast Court of Appeal. The Co-ordinator also designed a teaching methodology and handbooks to facilitate the effective conducting of these courses. All courses are now an integral part of the mandatory curriculum of the National School of Judges, the institution responsible for professional education of Ukrainian judges. As a result, the School has already used these materials to train almost 4,500 judges in human rights protection without the Co-ordinator’s support. 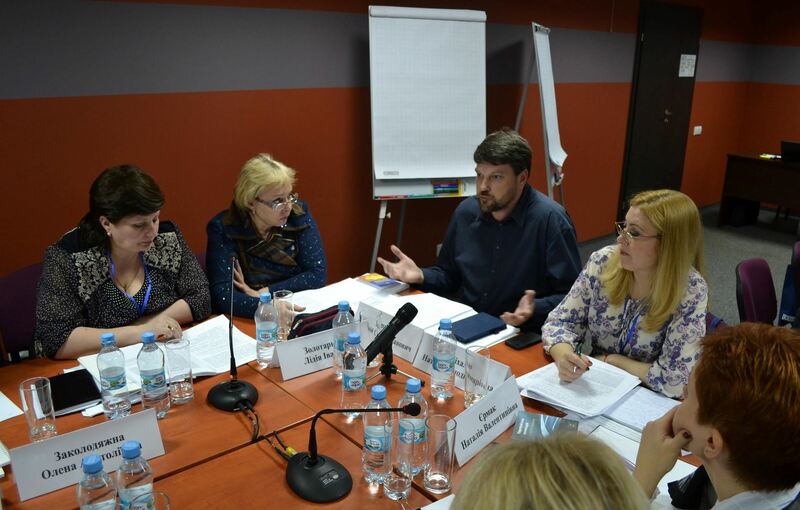 The Project Co-ordinator in Ukraine has been evaluating its training efforts by monitoring judges’ rulings before and after they participated in the training. The findings show that 82% of 680 surveyed trainees began applying European Court of Human Rights case-law after the training. The overall application rate of the case-law by trained judges increased by 37.5 % between 2014 and 2017. In April 2017, the Co-ordinator launched the first civil society-led trial monitoring programme in Ukraine. Not only does this programme promote the independent monitoring of courts, but together with the analysis of judgements it has served to establish a baseline for measuring the progress of judicial reform. The results of the monitoring of 1,400 court hearings throughout Ukraine are being used by the School of Judges and the High Qualification Commission of Judges to improve training programmes and judges’ performance evaluation procedures. One of the recommendations resulting from the monitoring was the expansion of the network of gender equality focal points in the courts that was set up by the Project Co-ordinator in 2018. This is to be one of the areas of the Project Co-ordinator’s future work. Infografics illustrating outcomes of Project “Safeguarding Human Rights through Courts”.